Whether you are looking for an icebreaker or a bonding exercise, increased communication and leadership skills or just want to throw a party for no reason at all, SalSeduce provides a completely different approach to working alongside your business, always with great results. Our approach can help to develop decision making and team cohesion. We focus on building people up, increasing their confidence, self-awareness and empowerment. It is extremely important to us to establish a relaxed environment so your staff can have fun learning a new skill, but also understand the skills involved to achieve it. We take an eclectic approach to our classes depending on your requirement. By bringing fun to our dancing we are able get the best out of everyone in our classes, helping people to achieve things they never believed possible. SalSeduce aims to make each individual who attends our workshops the best person they can be, and our dance classes have proven to be an effective way to make huge increases in confidence, self-esteem and self-belief. In our experience the knock-on effects have been incredible in changing behaviour, relationships, and mental well-being. 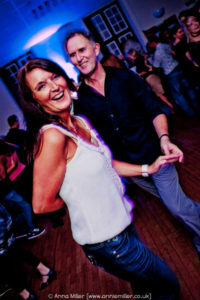 Salsa will give you a memorable experience which will benefit your entire company. Our dance events and classes allow everyone to participate no matter their position in the company. We take you out of your comfort zone to help you learn new skills and improve decision making, creativity, flexibility, co-ordination and encourage a more supportive working atmosphere. If you’re throwing a party we can bring that Strictly X Factor. We can provide a range of performances and classes to get your party started. Our party entertainment is unique and you’ll get an experience like no other.